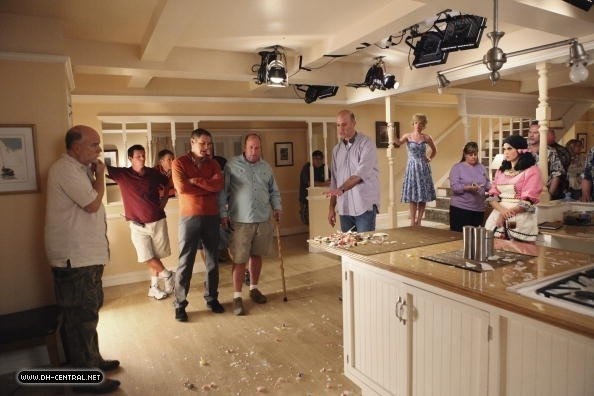 BEHIND THE SCENES > SAISON 7. . Wallpaper and background images in the desperate housewives club tagged: desperate housewives season behind the scenes susan bree gaby lynette renee keith carlos. This desperate housewives photo contains cozinha, brasserie, and sala de desenho. There might also be sala de estar, sala, sala de frente, salão, sala da frente, sala de estar, armazém, armazém de armazenamento, and armazém de.